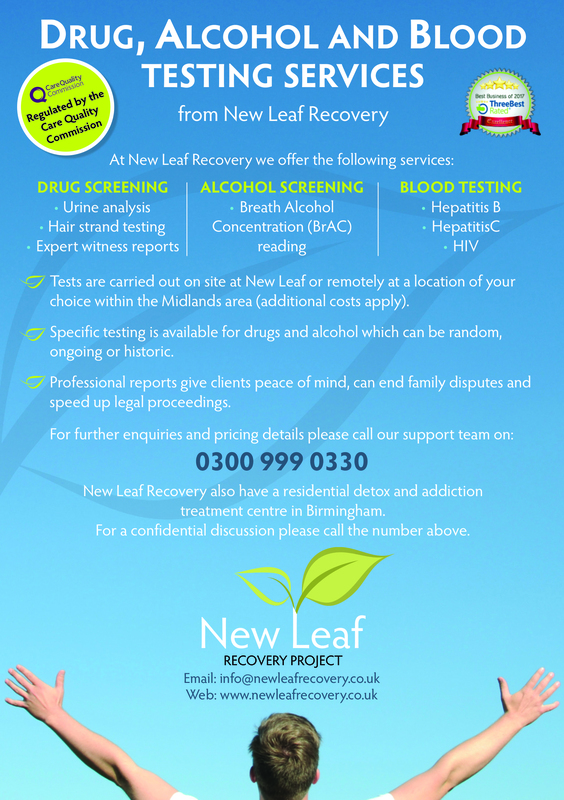 Here at New Leaf Recovery we can provide specific alcohol testing and drugs screening. Alcohol & drugs testing can be necessary for many reasons. Tests can be done randomly which could be applied by a corporate company who are randomly drug testing employees to ensure health & safety standards for such industries as construction or anywhere where heavy machinery is operated. Drug tests could also be applied for ongoing issues such as disputes or family feuds over suspected alcohol abuse or drug abuse. Having these tests could potentially put a stop to these disputes once and for all. Drug and alcohol testing could also be applied for historic reasons such as providing evidence in court cases or employment tribunals etc. New Leaf are able to provide professional expert witness reports to be used in court cases or to speed up legal proceedings. New Leaf can provide safe and accurate blood testing to measure a variety of variables within the human blood stream. We provide these blood tests mainly for hepatitis B & C and also for HIV. A simple ‘pin prick’ procedure is used providing accurate results. Full counselling is provided pre-testing and also post testing where results are positive. New Leaf signpost clients with a positive result to local professional services to ensure clients receive the appropriate ongoing support. 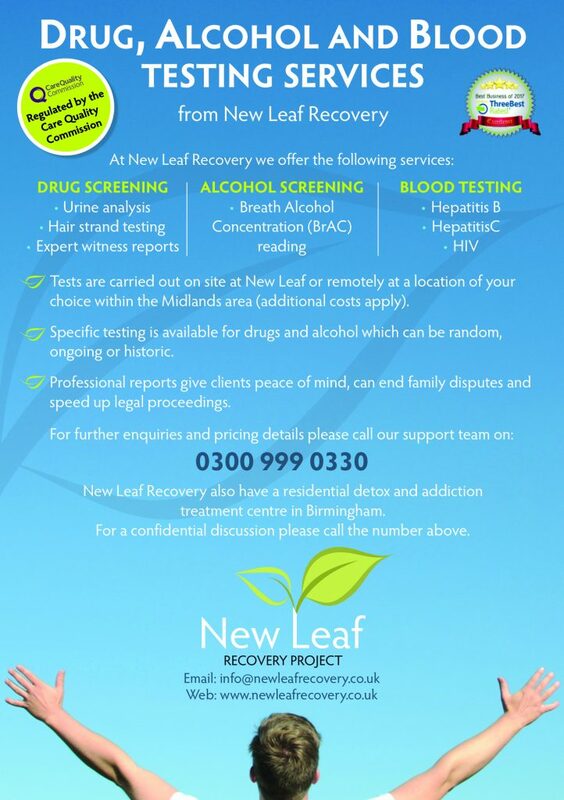 If after reading this information you require drug, alcohol or blood screening and would like to know more about our service please call 0300 999 0330.